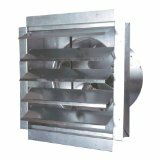 Exhaust Fans, Ventilation Fan - Why do I need an exhaust fan? 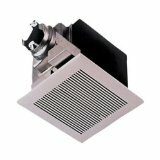 Why do I need an exhaust fan? An exhaust fan is required to dissipate moisture in the bathroom. When you take a shower, moisture builds and needs to be removed from the bathroom. What happens if the moisture is not removed from my bathroom? If the moisture does not get removed from your bathroom, it will build up within the home. Mainly, it will build within the washroom or bathroom. Once the moisture starts to seep into your walls and floors, your tile will split and crack. Floors will start to grow mold underneath. Other problems will start to happen, but these are the most prevalent. Some people start looking for ways to repel mold or stop the tile from cracking. This is really not the proper approach. The proper approach is to have an exhaust fan worked into your budget and your bathroom build right from the beginning. Don't forget to include the bathroom fan in the blueprints. A common mistake by many home owners or renovators, is they build the entire bathroom and then realize at the end - where is the exhaust fan going to be placed? Because of the way an exhaust fan operates, you need to know how it is going to be patched to fresh air from the outside. 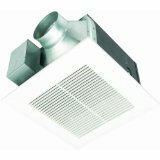 If you are placing a bathroom on the top floor of your home, the exhaust fan needs to be vented out the top, or patched into existing ventilation. A shower needs to be installed into the bathroom. The shower would have one open side and one closed side. The closed side will face the wall generally. The open side of the shower would need a shower mat and rung attached to hang the shower curtain. You will need to measure the walls and plan out the height of your shower accordingly. Where the drain will be installed needs to reflect the location of the shower tap. The drain needs to be proportionate to the location of the tap/sprayer. You'd be surprised how much impact can be made if the drain is not installed in the right place, or the tub does not angle properly so that the water flows out the drain. Keep the exhaust fan in the blueprints! One of the biggest mistake people make (including home builders) is they totally forget about the exhaust fan until the bathroom is almost completed, or finished. If the exhaust fan is factored into the construction of the room from the beginning, everyone will be on board. 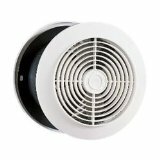 Often times, installing an air vent or running fresh air in from the outside means having a specialist on board. HVAC engineers are the ones who work on air ducts or install them. It is a specialized trade that your average handyman or bathroom builder is not going to know how to do. Keep this in mind and keep a special expense aside for the "specialists" in any renovation project. Be sure to get quotes from three different sources, to ensure you're getting the best bang for your buck. If one contractor is a lot cheaper than the others, don't just choose them - ask why! And last but not least, make sure you research who you choose to do the work. Look for any "terrible tales" online - and make sure you feel confident with your chosen contractor before you move forward with the job.